MTO Town Planners Pretoria - specializing in the entire Town & Regional Planning spectrum. Welcome to MTO Town & Regional Planners, a company who serves the Lord, Jesus Christ. Mark 11:22: "Have faith in God". We maintain close and constructive working relationships with local authorities and public sector professionals. 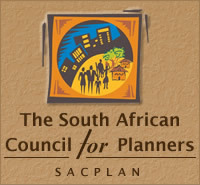 We're a member of the South African Council for Planners.